There’s really no more excuses about learning a new language. There’s so many options for online educational and video courses and apps to help. The main problem is that one’s ability to learn a new language to a functional level is the difficult part. 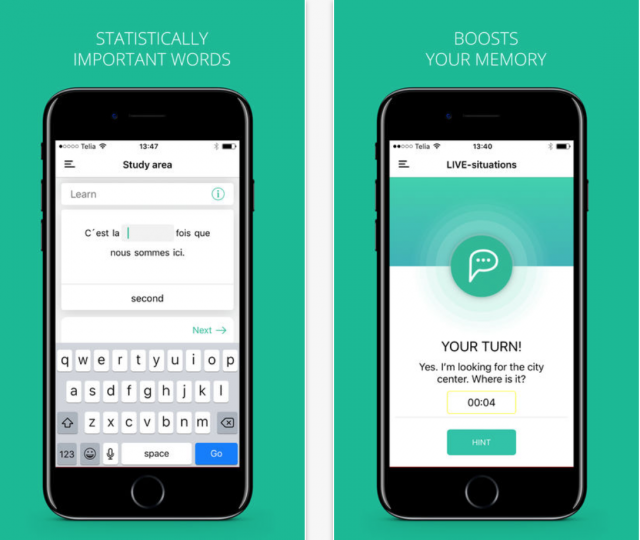 The new mobile language app Speakly fixes that problem with its statistic-based learning system. How does one apply math to language? Founder Ott Ojamets said it’s about relevant word usage. Ojamets came up with Speakly after struggling with learning Spanish. He focused on practical application and functional usage by approaching learning a language from a pyramid perspective. This means teaching the most commonly used words and phrases first. Speakly focuses on the most statistically relevant words and phrases for each languages and teaches them first then apply them to real world situations on their phone or laptop. This means a shorter curve to becoming a functional speaker. On top of that, this method builds confidence quickly and reinforces early success into a self-feeding loop that keeps users engaged. What about the issue of local dialects? How does someone adapt to local variations in words? The time it takes to learn anything new obviously depends upon the amount of time you invest. With Speakly, spending 30 minutes each day learning new phrases as well as reviewing previous lessons, mean you can move from square zero to competency in four months. This doesn’t mean you feeling chained to your laptop each time you want to review a lesson. The Speakly mobile app allows you to start lessons on your phone and complete them on a laptop. Ojamets and his cofounder Ingel Keskpaik work with a team of 12 building upon their current user base of 7,000. Speakly offers five languages and is working to add more in 2018.